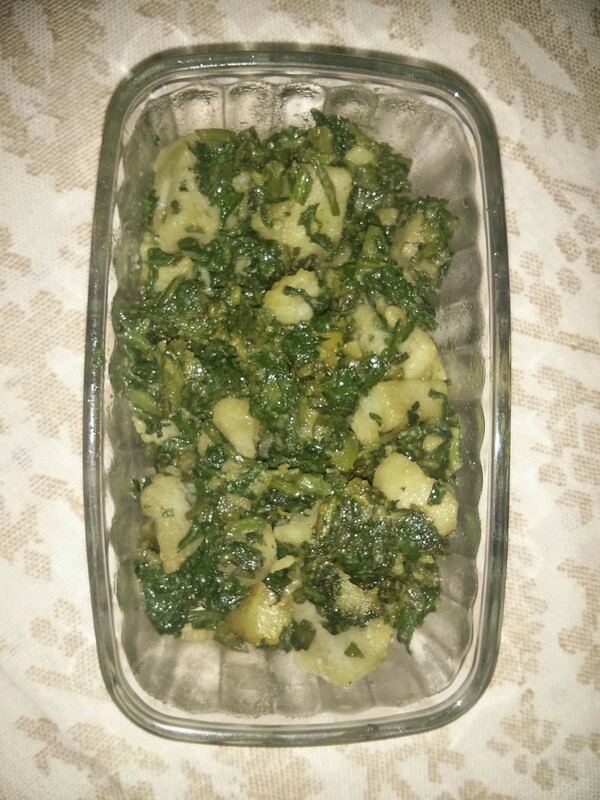 This spinach potatoes / Palak Aloo recipe is very easy and simple . Spinach is cooked on slow fire with a combination of cubed potatoes and few simple spices like asafetida , red chili powder and salt only. The result is a delicious vegetable! Wash the spinach very well, finely chop and keep aside. Wash the potatoes, peel and cut into small cubes. Add chopped spinach and potatoes to the asafetida seasoning. Add in the spinach salt , red chili powder and baking soda . Cover and cook on a slow flame till potatoes are well cooked and blended with the spinach. Serve hot with chapattis or any other Indian breads. Hi, this is such a simple recipe with amazing results!! Thank you Nick! 🙂 With all the benefits of spinach and this lovely taste, this is going to be a regular on our menu.